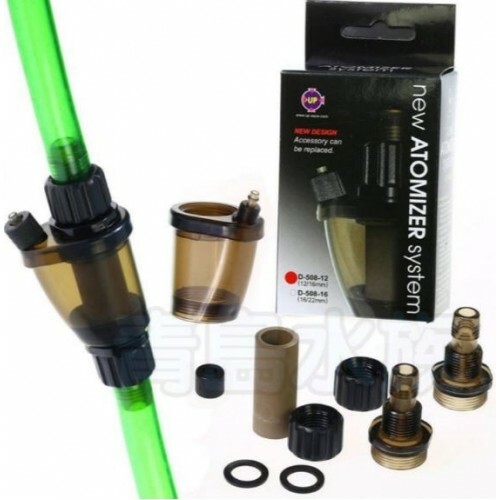 UP Aqua Inline CO2 Atomizer System 12/16mm or 1/2"
UP Aqua Inline CO2 Atomizer System 16/22mm or 5/8"
This top quality diffuser requires a minimum of 36 psi working pressure. Must be used with CO2 pressure rated tubing only, not for use with silicone tubing. Tubing must be acid resistant and rated for high working pressure. Do not use with bubble counter fluid or other bubble counter oils. Fill bubble counter with water only to avoid contamination of diffuser. 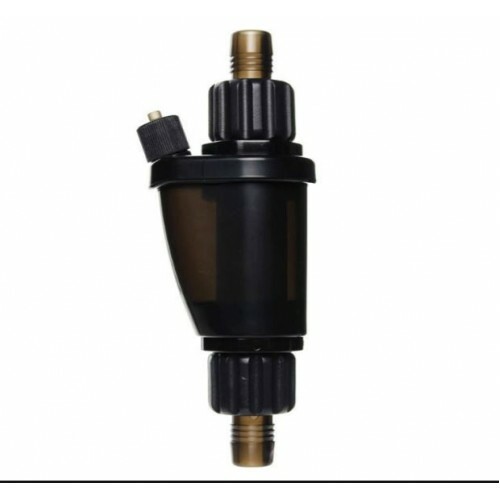 Designed to be installed outside of the aquarium, inline within the outflow tubing of your canister filter, either below the aquarium or mounted to the aquarium glass. A CO2 Diffuser optimizes the CO2 entering the aquarium for efficient plant absorption and less waste. As CO2 bubbles pass through the porous diffuser, they are diffused into streams of tiny bubbles. With increased surface area, the tiny CO2 bubbles are readily dissolved into the water, increasing the saturation of CO2 in the aquarium ecosystem. 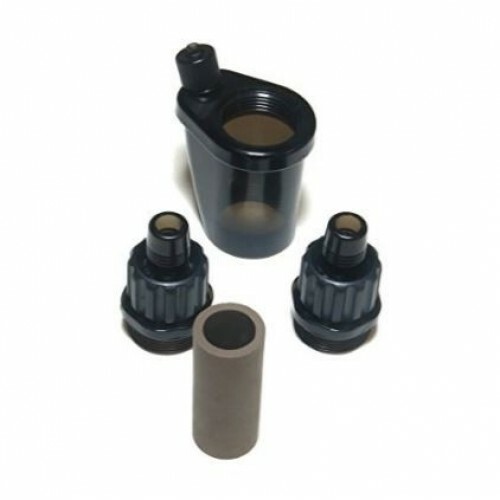 Adopt fine ceramics and increase the CO2 dissolved effect. It adopt Reverse Osmosis (RO) Technology that can diffuse CO2 in atomize Stage. The usage of CO2 will much less then even, it also come out with complete dissolved rate and produces excellent effect for the aquarium. For easy maintenance, to adopt the design of replacement accessories.